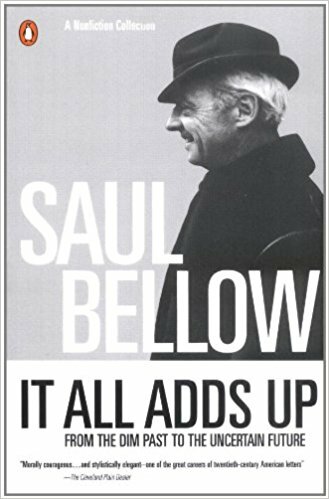 It All Adds Up (1994) is a collection of non-fiction writing that Saul Bellow published shortly before his last two novels, The Actual (1997) and Ravelstein (2000). 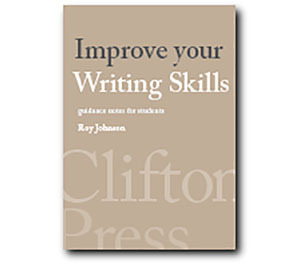 The collection includes reflections on the relationship between literature and politics, travel writing, potted biographies of his famous contemporaries, and a clutch of interviews – one of which he conducts with himself. The collection benefits from spanning more or less the whole of his writing career – from the immediate post-war period when he visited Europe for the first time, up to his personal memoir of friendship with Allan Bloom that formed the basis for his highly acclaimed and last novel. The assembly of these essays and social criticism also confirms the consistency of his interests and beliefs. He was very conscious throughout his writing career of being the son of a poor Jewish immigrants (his father was a bootlegger during the Depression). He was also from Canada – though the family moved to live in Chicago. This was a city with which he felt powerful emotional ties, even though he was well aware of its violence corruption. As he became more successful he took up university teaching posts in New York and the Eastern seaboard – which he repeatedly contrasted with the mid-West in order to take the moral and social temperature of America as a whole. And as an immigrant he never stopped thinking about the choice every immigrant has to make – to maintain ethnic origins, or to assimilate as an ‘American’, even though it might never be possible to comfortably believe in oneself as such. The earliest study is a piece of reportage commissioned by Partisan Review the left-wing journal with which Bellow (as a Trotskyite) was closely associated. The essay documents travels through Spain at a time when General Franco still held his dictatorial grip on the country. It includes details of the grinding poverty, the police arrests, and such bizarre details as the fact that possession of a radio required a permit. He clearly felt at home with the freewheeling (and hard-drinking) intellectuals with whom he shared his academic life. He taught joint courses in political philosophy and what we now call cultural history with Allan Bloom. He supported the poet John Berryman in his battles again an unsympathetic administration and against the alcoholism that eventually contributed to his early death by suicide. The essence of our real condition, the complexity, the confusion, the pain of it, is shown to us in glimpses, in what Proust and Tolstoy thought of as ‘true impressions’. This essence reveals and then conceals itself. When it goes away it leaves us again in doubt. But our connection remains with the depths from which these glimpses come. This is quite a difficult argument to justify theoretically, because it assumes that we are somehow ‘morally improved’ by exposure to high art. John Carey in his excellent study What Good are the Arts? challenges this supposition using the term ‘the religion of art’. But it has to be said that Saul Bellow, throughout all his novels and his non-fiction writing has wrestled with this problem of the potentially ennobling power of great literature – and it was for this reason he was awarded the Nobel Prize.